One of our favorite festivals here in Murphys, CA, is the annual Calaveras Grape Stomp. This lively event brings you closer to winemaking by giving you the chance to press freshly harvested grapes with your feet. Before attending the celebration, be sure to request a copy of our complimentary Vacation Guide! You’ll find our top recommendations for other festivals, the best outdoor activities, and spectacular wineries. This way, you won’t be left wondering what to do once the event is over. This is the largest and oldest grape stomp competition in California! Each year on the first Saturday in October, over 10,000 people flock to Murphys to attend this celebration of wine as well as the simultaneous Gold Rush Street Faire. They take place in Murphys Community Park, a 2-mile drive from Courtwood Inn. Before visiting this one-day extravaganza, read over our local insights and find out everything you’ll need to know. 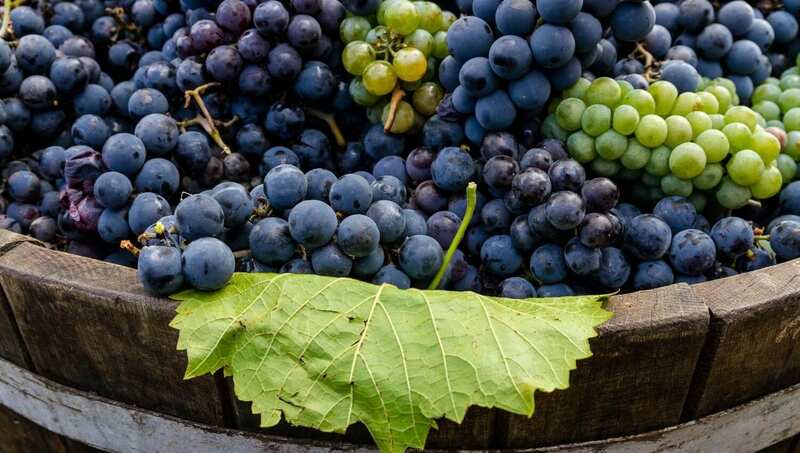 For over 20 years, the Calaveras Winegrape Alliance has presented the Calaveras Grape Stomp. Through the grape stomp, the organization maintains its mission of “increasing the awareness of all wines produced in Calaveras County and/or produced from Calaveras grapes.” Festivals such as the Calaveras Grape Stomp and the Gold Rush Street Faire exist to educate visitors on their efforts and provide an opportunity to buy some of the extraordinary blends! Each of these events also helps the preservation and development of Feeney Community Park. 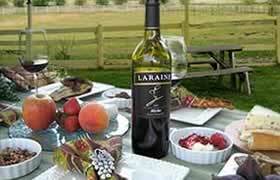 While the grape stomps are the main attraction, many other things are happening at this year’s festival. This includes a silent auction and tasting of tantalizing wines from across our wine lover’s paradise. Additionally, you are encouraged to attend in costume. Prizes are awarded for costumes that show the most originality, design, and effort. If you want to compete, be sure to review the list of 11 rules. The most important one is each stomp team must have two people, the Stomper and the Swabber. The stomper stands in the vat of grapes and presses while the swabber catches the freshly squeezed juice in various buckets. You’ll have 3 minutes in the qualifying and semi-final rounds to press 25 pounds of grapes. If you make the championship face-off, you’ll have only 5 minutes to fill as many buckets as possible. The team that makes the most juice by weight is crowned the “Champion of the Juice.” You will see competitions between local businesses, sponsors, organizations, and friends. If you’d like to participate, we recommend that you sign up in advance as there is a limited number of stomp teams and it sells out every year. You don’t want to miss the high-flying antics and hilarious commentary at this year’s Calaveras Grape Stomp! Over 100 booths spring up on Murphys Main Street for the Gold Rush Street Faire. After participating in or witnessing the grape stomps, you can stroll down the street to peruse the offerings. In addition to Murphys’ specialty shops, the booths have arts and crafts, antiques, handcrafted goods, jewelry, food booths, and more! After your Calaveras Grape Stomp experience, head back to recharge at Courtwood Inn. 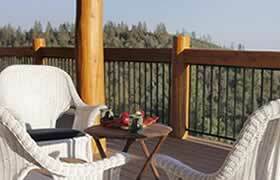 Our log cabin bed and breakfast overlooks the stunning San Joaquin Valley and the rolling Sierra Nevada Foothills. Plus, when you book a two-night stay, we will pay your entry fee for the Calaveras Grape Stomp! We invite you to browse our accommodations and reserve the ideal one for your getaway. As you search, consider booking our Davis Cup Room! This airy guest room features beautiful hardwood floors and an abundance of natural light. Pair this with the light-colored decor and panoramic views, and you’ll begin to relax from the moment you step inside. This room is our pet-friendly room so you won’t have to worry about leaving your furry friends behind. Lounging on your private balcony while watching the sun go down over the San Joaquin Valley is the perfect way to complete your day in Murphys, CA. Stay with us at Courtwood Inn and discover the beauty and excitement of Southern California on your next vacation.